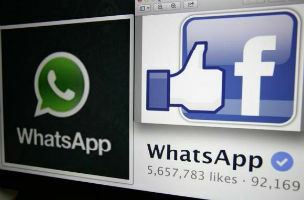 European Union officials seek more answers in Facebook-WhatsApp acquisition. Texas Gov. Rick Perry has an "oops" moment on Twitter. These stories, and more, in today's Morning Social Media Newsfeed. European Union antitrust officials have sent a second wave of extremely detailed questions to the competitors and customers of Facebook and messaging service WhatsApp. This is an unusual move that might call into question the proposed $19 billion acquisition of the latter by the California-based social network. Reuters The move came after Facebook sought EU approval for the deal, the largest in its 10-year history, which will give it a strong foothold in the fast-growing mobile messaging market and pit it against telecoms companies. The European Commission said on Monday it will decide by Oct. 3 whether to clear the deal unconditionally, demand concessions or extend the preliminary review into a wider probe. The Australian Europe’s influential telecoms industry has been lobbying against the merger, arguing that “over-the-top” operators like WhatsApp use telecom companies’ infrastructure but aren’t taxed or regulated in the same way. EU antitrust regulators typically have 25 working days after a deal has been notified to decide whether to wave it through or to launch a more detailed investigation. Facebook added the ability for users to specify custom genders – such as transgender, androgynous and genderqueer — in February, and the social network has now extended those options to indicating family members users are connected with. Mombian, a lifestyle site for lesbian moms and other LGBT (lesbian, gay, bisexual and transgender) parents, pointed out the new options. A passel of Florida Keys teens have been arrested after they tried to burglarize a home, NBC Miami reports. The motive for the burglary attempt was a braggy Snapchat. Season five of ABC Family‘s hit show “Pretty Little Liars” drew to a close last week, and fans took to Twitter to react to the death of a leading character. According to our analytics partner Canvs, which measures Twitter sentiment, in the five minutes when leading character Mona Vanderwaal was murdered, there were nearly 27,000 emotional reactions. While it’s highly unlikely to be a security issue with iCloud, the incident has served to remind us all of the issues around internet security in general. So what do we know about the celebrity photo hacks? Did you know that pictures on Twitter are retweeted 128 percent more than videos? Or that articles with images generate 94 percent more views? What if I told you that 46 percent of people say that a website’s design is their No. 1 criterion for discerning the credibility of that company? Walmart received the most brand mentions: 232,210. Kohl’s and Macy’s followed with 200,899 and 148,571 mentions respectively. Walmart also had the highest response rate for its consumers — 2,625 — and the fastest average response time to queries, at 33 minutes.